Home / Black Mirror / Narcos / netflix / Netflix & Woof / pets / star trek discovery / stranger things / The Crown / tv series / This is the Netflix show your pets love to binge watch with you! This is the Netflix show your pets love to binge watch with you! Does your binge-watching partner have four legs and a tail? If not, you probably have the wrong binge partner to watch TV with. 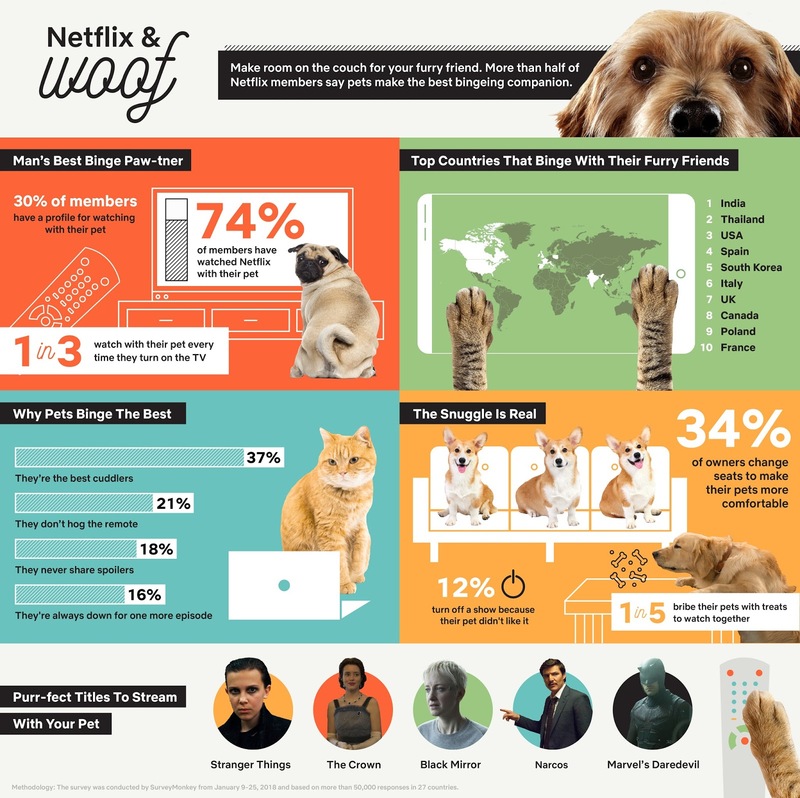 Netflix recently conducted a survey for their Netflix & Woof campaign around the world and found out that most people (58% of them to be exact) find their pets to be the best binge partner to catch up on some series distributed by the streaming media. In fact, Asian regions like Thailand and India agree the most with 80% and 75% respondents respectively supporting the research. Watching TV with your furry friends is always an amazing experience. You won’t have to deal with spoilers and best of all; you have the remote control all to yourself. But if you still have doubts on whether or not pets are the ideal binge-watching partner, check out the statistics Netflix has provided to further solidify their animal-friendly statement. Statistics showing why having pets as your binge partner is purr-fect (Photo source: Netflix). 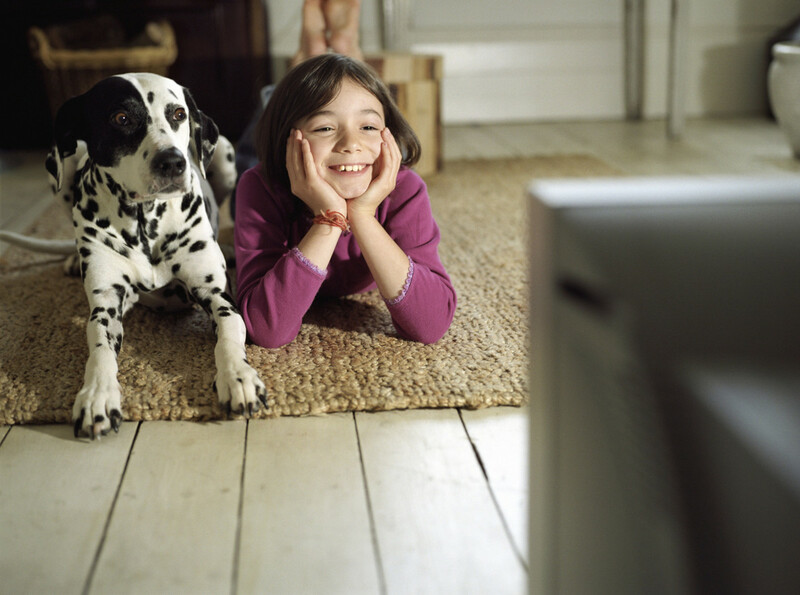 The genres owners choose to watch with their pets differ according to the type of animals they have. Dog owners tend to lean on heavy dramas like "The Crown" and "Narcos" while cat lovers prefer the sci-fi genre like "Black Mirror" and "Star Trek: Discovery". But all agree with "Stranger Things" being the one series that both dog owners and cat owners enjoy bingeing together with their four-legged companion. Just don't let your cats watch Mews' death scene.